"That's not 90°, yet. Do deeper!" I guess you will be remembering last week's post on the superior growth effects of full vs. partial squats, hah? Now, the results of the Bloomquist study certainly raise the question, whether the same or similar effects must be observe with different exercises or even different body parts, as well. After all, it would be bro-science at its best to generalize the result "full squat = full quad development" to "partial ROM = partial strength and hypertrophy response" without the least hint of evidence that this hypothesis is more than just the "proposition or principle put forth or stated (without any reference to its correspondence with fact) merely as a basis for reasoning or argument" ("hypothesis, n.". OED) the word "hypothesis" implies - right? The good news is that it appears as someone has heard my lamentations about the scarcity of respective research, or - what's in this case more probably - feel the same about the necessity to generate data that would be necessary to base our workout protocols on more than just "hearsay", hypothesis and "N=1 experiences" and a single study. Despite the fact that the study I tried to make tempting to you in the introduction is again build around a leg training routine, it has two major advantages compared to the Bloomquist study: (1) The participants performed a complex, multi-exercise leg-training protocol, (2) the study used the vastus lateralis as yardstick for the size gains, (3) the effect of full vs. short ROM (range of motion) on strength, muscle structure and body fat were also measured and (4) the study had an active training part (8 weeks on the protocol outlined in table 1) and - and this is pretty unique - a subsequent 4-week follow-up in which the subjects did not train (detraining) that allow us to determine whether the persistency of the gains will also depend on whether you achieved the training with a limited 50° vs. a "full" 90° specific angle of knee flexion (McMahon. 2013). 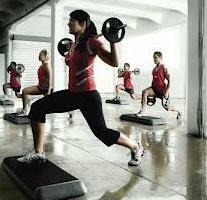 *you will learn more about the importance of muscle lengthening later this week, so stay tuned! McMahon & Onambélé-Pearson hypothesized that the group training "at longer muscle length" (90°) would undergo a greater amount of skeletal muscle hypertrophy and concomittant strength development and that these differences would be "due to increased physiological stress and stretch on sarcomeres compared to the group training at 50°" (McMahon. 2013) and that these effects would be evident even during / after the deloading phase. If we take a peak at changes in muscle cross sectional area (CSA) in figure 1 this hypothesis appears to be roughly accurate. There are however significant differences in the growth response the scientists measured at 25%, 50% and 75% of total femur length (VL25-75), with a statistically non significant advantage for the high(er) load, short-ROM approach (the higher load is a natural consequence of the RM prescription) and a highly significant advantage for the low(er) load, full-ROM approach, when it comes to that part of the muscle you want to shine, as it contributes to that massive "tear-drop look". 23±5%, 19±4%, 16±4% at weeks 8, 10 and 12 in the LR and by only 10±2%, 6±2% and 2±2% in the SR group (data not shown), on the other hand, were persistent - yet only in the full range (LR) group. "And body fat? What about the body fat"
and that there was a similar trend seen at 75% where a main effect of both group and training existed at week 8 (p<0.05) - even if the latter vanished in the course of the 4-week detraining period 7±3% SL and 9±1% LR). there was evidence of angular specificity of training in both groups with SR significantly (p>0.05) increasing MVCs at 50, 60, 65, and 70° , only, wheres the participants in the LR increased their MVCs values over the entire angular range. What's remarkable, yet non necessarily beneficial, is the fact that the angle of peak torque which had been 75° at the beginning of the training intervention decreased to 70° within 8 weeks of training over the short ROM (SR) and remained there for the duration of the detraining (i.e. the change was at least persistent, if not permanent). No such effect was observed in the LR group. "By week 10, both groups displayed an average 6±2% strength reduction (relative to the post-training strength values), with SR not significantly above baseline (0±2%) in contrast to LR remaining significantly above both baseline (p<0.05) and SR (p=0.027) at weeks 10 and 12." Overall, the changes in contractile force and the angle at which they were elicited reflect the structural changes that were brought about by the more pronounced muscle lengthening that's a prerogative of training over the full range of motion (ROM). Bottom line: As far as the practical implications of his findings are concerned McMahon and Onambélé-Pearson reemphasizes that the specific muscle mechanics are of paramount importance, "when choosing a range of motion for a resistance training protocol." (McMahon. 2013). With resistance training protocols that enforce a full range of motion having the ability to influence force and power production to a greater extent than protocols where the range of motion is not as extensive, the authors are right to point out that it would be a mistake to allow your ROM to be compromised "in order to accommodate a greater absolute external load, in an attempt to increase the stress of mechanical loading". Accordingly they advice coaches to "reinforce a more complete ROM, even when absolute load maybe reduced, in order to provide a greater internal stress and more potent stimulus for adaptation" (McMahon. 2013). Although this advise is obviously as relevant for trainees, like yourself, I would like to add one thing to McMahon et al's "bottom line", which relates to the previously described structural changes that accompany the hypertrophy response to exercise. These changes I discussed in the context of domain sizes and satellite cell recruitemen (see "Getting Big Means Growing Beyond Temporary Physiological Limits" | re-read it) are important for both continuous muscle and strength gains and your ability to maintain the gains you've made. Therefore, you would in fact be ill-advised not to "leave your ego at the door" if you want continious and persistent size gains and increases in strength over the full range of motion that do not vanish, when you are taking 2 weeks off. 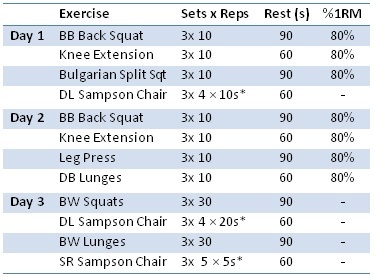 The Jack-of-All-Traits Leg Workout from the Sáez de Villarreal study I discussed on July 15, 2012, would also be something you may want to look into if you need some inspiration for your own routine. "hypothesis, n.". OED Online. March 2013. Oxford University Press. 6 May 2013 <http://www.oed.com/view/Entry/90588?redirectedFrom=hypothesis>. 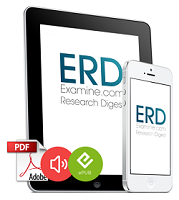 With me being one of the reviewers, I can guarantee that you won't regret subscribing to "ERD". SuppVersity (c) 2010 by Prof. Dr. Andro. Powered by Blogger.